Many travellers have a special book they remember when travelling; sets the scene; transports them even deeper into their surroundings. Me, I had several, and instead of many clothes and necessary items I had books instead. My backpack was a vehicle of adventure. My first travelling journey was a spiritual one. I had not decided it was going to be that way. But life gave me an open door to my own personal transformation. After a few months in Sydney, I met a woman who introduced me to energy healing. Much of what she said really spoke to me. So much so, after I left Melbourne, I could not get enough of the new understandings that books were bringing to me on my travels. I was looking at the world differently and books kept falling off shelves, totally relevant to me and my own personal journey. 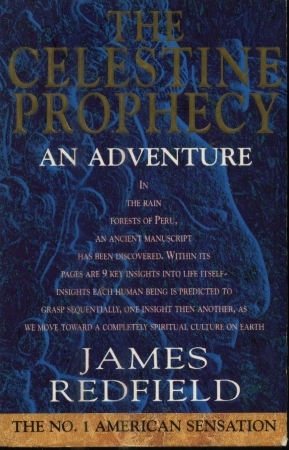 The Celestine Prophecy had a main character who was also travelling. He was travelling to collect a number of sacred insights important to the world. Within the series are revealed the ways in which the world works and how everything is made up of energy. I completely devoured the series on my travels and had my own sacred experience and many sychronicities because of this book. Not only was I like the character, I was also collecting my own insights about life. My entire world was opening up to me in a whole new way. The Celestine Prophecy embraces many psychological and spiritual ideas, which take the reader on a ride through the world of energy, connection and creating a better place to live. Something about the 'fictional' aspect of it made it seep into my soul and I came out of the books a transformed human being. This was relevant to my experience of life. I filled my life prior to travelling. If it was not work, it was university work, I drank a lot to numb pain. I watched my father work a 60 hour week and not get a break in life and I realised that many of the 9 insights genuinely were relevant in my life. I needed to know the bigger picture and that there was more to life than met my eyes. The magic that came from reading the Celestine Prophecy on my travelling journey was phenomenal. From walking into a shop where a woman immediately said "You do Reiki" after I had just learned how to channel healing energy, to giving this complete stranger healing, who then proceeded to tell me about the dreams I had been having in my sleep-state, with no prior knowledge of me at all. To my biggest sychronicity on my journey down the east coast of Australia. "I would love an uplifting connection today with someone." That day, our coach stopped at a place en route to Newcastle, and we stopped at one of those fairly ordinary service stations with a greasy spoon cafe. I wandered up to the counter a little tired, wearing my rose quartz crystal necklace (for self love) and as I turned around this rather attractive man with blonde hair approached me. "Rose quartz, self love, you do Reiki healing. I was told I was going to meet an interesting lady today and that we were going to have an interesting conversation." I was so taken aback, I blushed rather strongly. He was very attractive, and having this, what felt like 'otherworldly' experience, sent my energy through the roof. So I agreed to have lunch with this complete stranger, and we sat down for a very deep intense conversation that uplifted me so much I was beaming from ear-to-ear. His name was Rodney and I still wonder to this day if he was a real person. But, we did talk, he took my hand and spoke of energy healing, positive thinking and other self-help techniques. It was a brief but wonderful connection which I still recall to this day. We parted company at the bus station; we hugged (in all honesty I wanted to kiss him); we left; he got on one bus and I got on another. After this tremendously vivid experience when travelling, I can clearly say that reading books when travelling can make for a life-changing experience. It did for me, and it can happen to anyone. I still wonder if I will ever meet Rodney again, and whether he was a real human or an angel sent to guide me that day. that has enhanced your life? If I have whet your appetite for The Celestine Prophecy series, here are the 9 Insights by James Redfield (there are more and he has a recent book out that I am looking forward to reading soon). 1) The awareness begins with a feeling of restlessness - an inner urging to find more meaning in life. As we respond to this inner prompting we begin to notice the "chance coincidences" - strange synchronistic events in our life. We begin to realize that some underlying process is operating our life. 2) We take a look at the evolution of consciousness (thought) of humankind, and we begin to see everything in a larger perspective. We become conscious of our preoccupation with the material world and begin to seek a deeper meaning and purpose to our lives. 3) We begin to see our connectedness. We become aware of the subtle energy that infuses all things and the relationship we have with that energy. By consciously becoming co-creators and choosing what we think we can have a positive effect on our world. 4) We unconsciously compete for energy from other people and this competition underlies all conflicts. As we begin to become aware of these power struggles, we learn that there is, in Reality, no lack of energy - there is another Greater Source of endless energy. 5) The key to overcoming conflict is tapping into the Greater Source through the mystical experience. In this experience we sense our connectedness and oneness with everything. This experience is available to everyone, as we allow ourselves to be filled with a sense of love. 6) Childhood traumas block our ability to fully experience the mystical. All of us carry wounding and false messages from our past. As we get in touch with our own personal control issues we can begin healing the blocks of our past and transcending them. 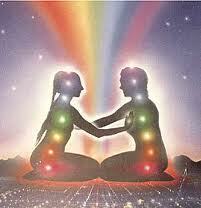 7) Once cleared of our past traumas, we can build energy through contemplation and meditation. As we focus on our basic life question, we receive the guidance we need through intuition, dreams, and synchronistic connections that guide us in the direction of our own evolution and transformation. 8) Evolution can't be done alone, so practice uplifting those who cross your path. We are here to support and teach each other. Release addictive relationships, and integrate and embrace all parts of yourself, so that you become a whole person. 9) Our purpose here is to evolve consciously. As our planet evolves through greater technology we are freed up to spend more time to evolve spiritually. As we spend more time connecting with our Higher Source we experience a higher vibratory energy which nurtures ourselves, each other, and our planet. We eventually connect with God's energy in such a way that we become beings of light and the kingdom of heaven is manifested here on earth.